Offering drain repair in Leominster. Our team will always strive to fix any drainage problem at your home or commercial premises quickly and with minimal disruption to your property or site. Sometimes, though, fixing the problem requires more extensive work, and drain excavations might be necessary. You can feel confident that any excavation or repair work we carry out will be completed to the very highest standards, and that all of our work is fully guaranteed, giving you the peace of mind that you are investing in a quality service. Not only do we offer drain repair in Leominster, but we also offer drain unblocking, CCTV drain surveys and a comprehensive range of drainage services. If we discover a problem with your drainage system when we complete a CCTV survey, we pride ourselves on being able to offer a solution to the problem, both quickly and efficiently. Once we have established the source of the blocked drain or identified damage within the pipes, we will repair or replace your drain as necessary. In some cases, a drain excavation or replacement can be more cost-effective than investing in repair work, but either way you can trust our team to advise you honestly and impartially as to the best solution for your own drainage problem. We are the leaders in offering drain repairing in & Leominster. We at Genesis Drainage are committed to fulfilling the every need our client has. We offer many services, which add to our customer service, such as emergency call outs and a 24-hour service, which helps ensure we provide the best customer service we possibly can. We take pride in knowing that we provide the highest possible service to our clients at an affordable price. All our drainage services are priced at a low-cost rate, as we want to be able to offer our skills to everyone out there. We have been well-established as a leading provider of drain clearance, drain cleaning and drain repairs for over 40 years. 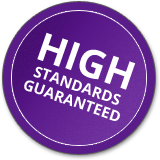 We have established a great reputation throughout the local area for the quality of our services and the expertise of our team, whilst our service also includes emergency call outs and 24-hour coverage for your convenience. If you are based locally in Leominster or surrounding areas, make Genesis Drainage your first port of call when you have a drain which needs repairing or replacing.